Last week we had a fall break, followed by an exam. I know no one likes to enjoy a break if they were going to have a mid term exam after it. So, I and my friends Amelia and Emma gathered at Amelia's home to study. That was my first visit to Amelia's home (In fact, to a typical American home). Their house was decorated wonderfully, I just loved the Chinese arts and shell collections at her home. The house was located in a peaceful environment and all those bird sounds and beautiful fall colors attracted me a lot, apart from it she prepared a wonderful lunch. I tasted very delicious vegetarian Empanada's (Especially for me) for the first time. She also made some Chicken cheese Emapanada's too. 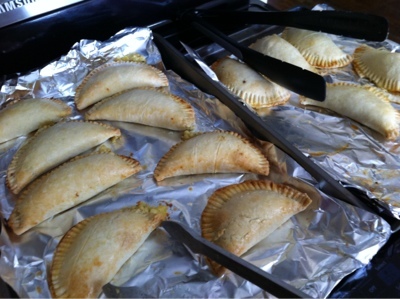 This is not the sole effort of Amelia, her hubby also helped her in preparing these delicious Empanadas. Here is the recipe that I jot down from her. Sift the flour into a bowl. Stir in the salt and the sugar. Blend the butter and egg yolks with 3/4 cups water. Stir in the 1/2 cup of water/egg mixture, a little at a time with flour, until the dough starts to come together smoothly. Keep kneading the dough, adding more water/egg a little bit at a time as necessary, until the dough is smooth. The dough will seem a bit shaggy until it has thoroughly chilled. Cover the dough with plastic wrap and refrigerate for about an hour. (you can also store it overnight (or a couple of days) in the refrigerator). Dough should be soft and smooth. Turn dough out onto a floured surface, and roll into desired thickness. Heat pan on a medium-high heat, melt butter and cook onion until transparent. Add vegetable broth and chopped corn. Turn down to medium heat and simmer for 5-10 minutes to soften corn. Add flour and allow mixture to thicken. Add cream, mozzarella and Parmesan cheeses. Add fresh thyme, black pepper and salt. Mix well and keep it aside. Take the rolled dough and place the cooled corn filling on one side of the dough and close it, seal the edges by pressing with a fork. For Chicken cheese Empanadas substitute Corn with oven roasted chicken and vegetable broth with chicken broth. Me and Emma enjoyed this delicious Empanada's and now it's your turn. I also thank Amelia and her husband for sharing the wonderful recipe with us. Fantastic we love them and yours are perfection! 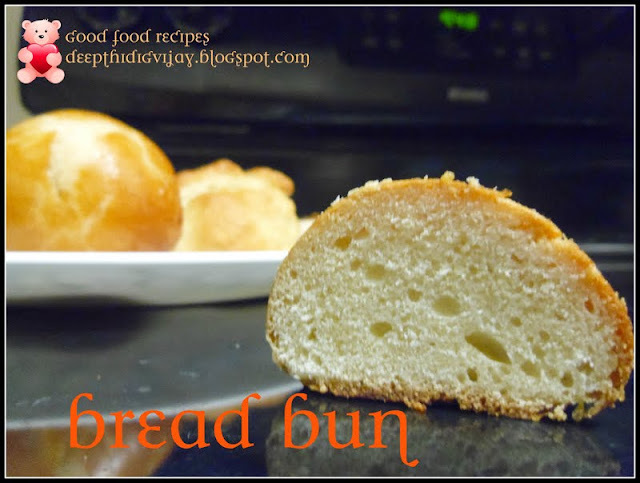 Yummy and perfectly baked,love the filling.